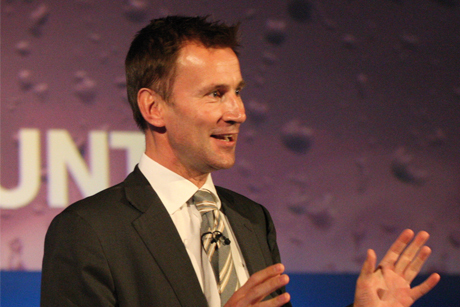 New Health Secretary Jeremy Hunt must shake off his 'novice' image by making a considered series of announcements on big issues during the coming months, leading health PR professionals have suggested. Sources said Hunt, who attracted criticism for his personal views on abortion last week, has been branded 'out of his depth' by sections of the media and local government. Hobson added the 'comms vacuum' Hunt had created meant his views on homeopathy and his personal intervention to encourage the takeover of NHS hospitals in his Surrey constituency by a private firm, Virgin Care, have also hit headlines. Hunt's first interview as Health Secretary was given last week to the Spectator, in which he was described as 'panicking a little' over the question of whether the NHS budget should be ringfenced. He also promised to make NHS managers more accountable for their treatment, at the Tory party conference. Mike Birtwistle, MD of MHP Mandate, said: 'I would expect a regular flow of announcements from Hunt this autumn. He needs to introduce himself to the health community and the NHS.' Birtwistle added that Hunt, viewed by many PR professionals as a good communicator, had 'clearly been brought in to try to keep the NHS quiet'.